Look What Dunkin Donuts Sent Us in the Mail! 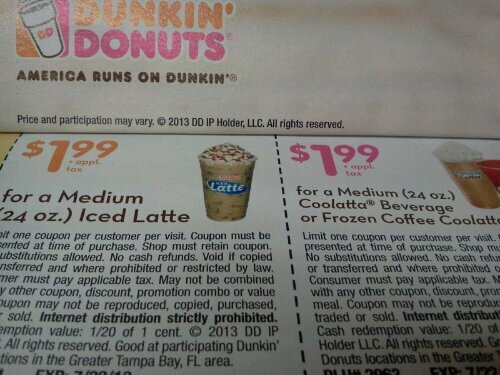 Got some new coupons for coffee at Dunkin Donuts. 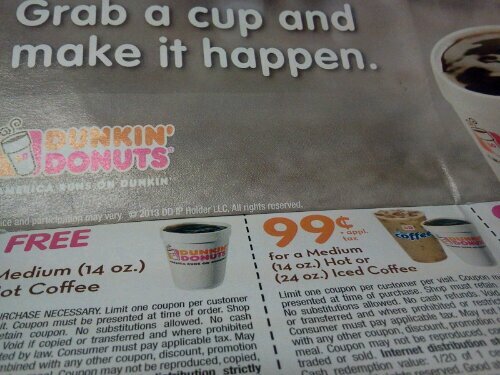 One is for a free coffee, while the other coupons offer deals on donuts. Note: Tried to use the free coffee coupon at Starbucks… They do not accept coupons from other coffee shops. Said with a firm NO.